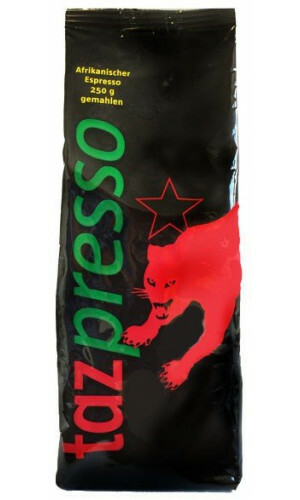 The Fair Trade Company. 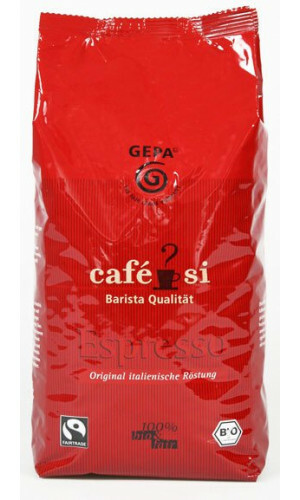 Fair trade has been the core of the GEPA philosophy for more than 38 years and the company has been a pioneer of implementing that concept. 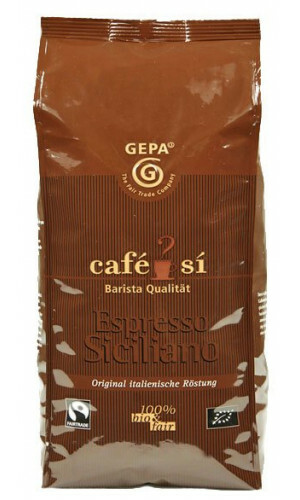 The new bar line Cafe Si is of barista quality and will impress even the most demanding espresso drinkers. 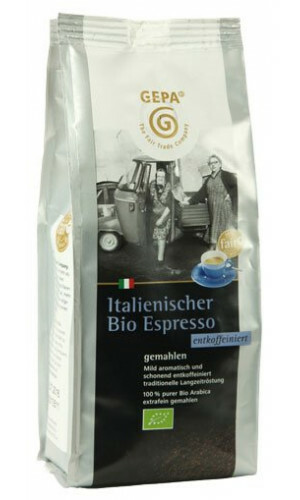 Cafe Si has significantly raised the bar for gourmet espresso in the organic and fair trade segment. 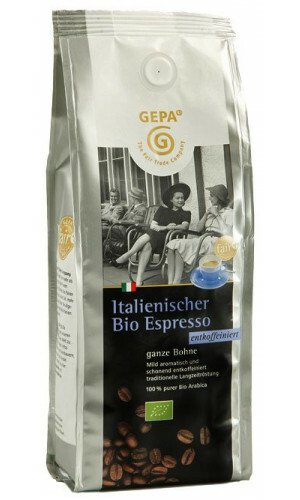 Hearty flavorful coffee blend for a tasty and long Cafe Creme. 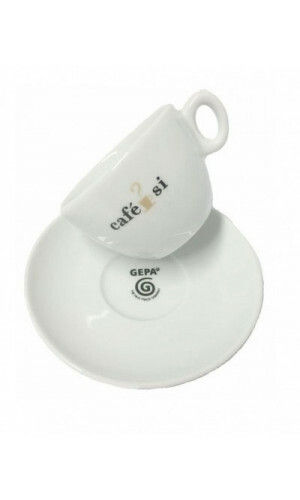 Shell-like shape. 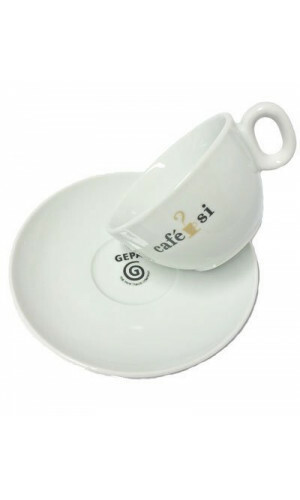 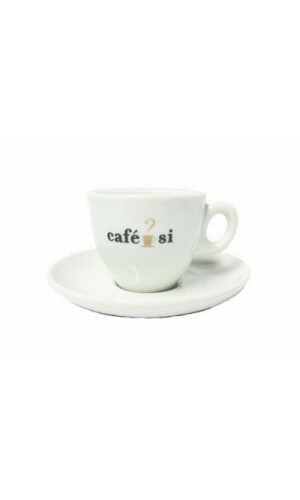 White porcelain with Cafe Si logo.